With a deadline creeping ever nearer, what may be my last writing, sub-editing and photo-editing job took over this week. That's last, as in last paid commission, because I took the decision earlier this year that, after several decades of writing for clients and advising them on how to "communicate" more effectively, for example, showing them why plain English makes more sense - in every sense - than jargon, I really would take that giant leap and just stop, so that I could spend more time on my own work. My pension may be scarily small (the price of being self-employed for 20 years) and the bills scarily large but, hey, I can still do starving writer in the garret with the best of them. Or maybe that should read mad woman in the attic. The prevailing wisdom is that we should quit while we are ahead and for the past three years I have been working on a truly awe-inspiring educational awards scheme. It's something I have been immensely proud to do and has introduced me to dedicated and visionary teachers - and others involved in education - and to many of the young people and adults whose lives they have transformed beyond all expectations. Transformation is a word that is used so frequently in education these days that it has largely lost its currency. But not in this case. So, a good time to bow out, I think. While I pounded the keys and pored over hundreds of photographs, there was music in the background and, a couple of days ago, a radio DJ played a Tim Hardin track. And when that unmistakable voice comes over the airwaves, which it rarely does the days, I always have to pause because . . . well, just because. A tragic life- he died in 1980, just three weeks after John Lennon was murdered - but a consummate and gifted singer and songwriter. A search on YouTube failed to provide footage of Tim in concert but there were plenty of cover versions, many of them third-rate. Not a criticism that could be levelled, however, at Bobby Darin, one of the best interpreters of Hardin's songs, seen here, in a rare piece of footage from 1969, perfoming If I were a carpenter brilliantly with Stevie Wonder. Meanwhile, Tim's recording of Reason to believe is available here. And then I found this on myspace, Tim Hardin at Woodstock, the evidence of heroin use already apparent, making this piece of film particularly poignant. There's more than one way to be stopped in one's tracks. What does 60-something look like? A recent throwaway remark on another blog almost triggered my inner-teacher. I wanted to sit the writer down and give them a short but hopefully succinct lecture on the dangers of sweeping generalisations. The remark was one of those ever so slightly dismissive ones about groups of 60-somethings. Nothing specific was attributed to these 60-somethings but you knew exactly what the (younger) writer intended. But how did they know that these people were 60-something? Were they asked to provide confirmation of their age? I suspect not; what we are talking about are skewed perceptions of age. Oh, probably not, Margaret Atwood isn't 60 until November, so she doesn't count. Wrong again. Joan Bakewell is 76, so obviously she doesn't count. Yes. Spot on this time. That must have been the giveaway: those day trippers looked like Julie Christie, who has just celebrated her 68th birthday. We may not all be blessed with the facially benevolent genes of Ms Christie but most of the 60-something people I know are lively, articulate, interested in the world around them and didn't start to shuffle around in their slippers and book themselves on Saga holidays the day they left their fifties behind. There is a life to be lived beyond 59. Some of us are even discovering that, despite what we have now learned about New Labour's promises, things can, in some cases only get better. We stop worrying about whatever it was that "used to hang us up the most", realising, with relief and thanks, that most of the things that fuelled the angst of our younger selves don't matter too much anyway. And, even if we no longer dance the night away, we might still enjoy a wild dance or two from time to time - and some of us are still happy to go to the odd gig. Most of the people I know who are going to see Bob Dylan (68 in May) in Cardiff next week are in their fifties and sixties. And when I go to see Bruce Springsteen in June, three of us in the party will be in our sixties. Bruce, as it happens, will be 60 this September, on the day after my birthday, but as I have a two-year head start, I've reassured him that there's nothing to worry about. Sixty is the new - er - 16. Or 25. Or maybe it's 43 . . . but who's counting? In the meantime, I'm more than happy for Ms Bakewell to be my role model (especially in that T-shirt) and to speak on our behalf. When it comes to older people, she talks a great deal of sense and, unlike the Younger Blogger, she knows whereof she speaks. 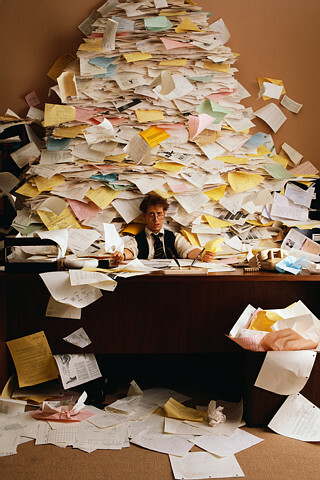 I know just how this man feels – because I have spent recent weeks trying to climb up the paperwork mountain that is a prerequisite to getting my pension paid. Bearing in mind that the various pots that contribute to it – state pension, private pension and occupational pension (from way back when I worked for someone else rather than for myself) – are not exactly flowing over, I was staggered at how complex the whole process is. Take the state pension; you can telephone an adviser who will process your application but there is always a huge queue. I was told that it wasn’t worth hanging on and they would arrange for someone to ring me back. “When might that be?” I enquired. Funnily enough, I can’t actually stay in the house from 8am to 8pm for the next two weeks waiting for the phone to ring. So I thought I’d go online, as this appeared to be another possibility. But it seems that you can’t actually apply online; all you can do is download and print the application form – all 18 pages of it. Except that you can’t. Whichever layout you set the printer to, the form comes out with half the right-hand side missing. So that was a bit of a non-starter too. In the meantime, I’ve had to dispense with the services of the financial adviser who was supposed to be looking after my private pension arrangments, as the man never answers any questions, nor does he return emails or phone calls. The pension company itself says that this is almost certainly because he was not going to earn very much comission from handling my pension . . . How very reassuring. Thankfully, I now have another much more efficient financial adviser who is going to handle both the private and occupational pension schemes. But I have to fill in more lengthy forms – for both. On reflection, perhaps I should have done a degree in personal finance rather than in English Literature and Art History. It wouldn’t have been half as enjoyable but it would have been useful. And then, for the state and personal pensions, I have to produce a long list of certificates – birth, marriages, death (of husband) so two sets of each have been ordered online, plus duplicate sets of various legal documents. And the total came to roughly the sum of my first week’s pension – cunning eh? What was that about giving with one hand and . . . ? According to the blurb accompanying the state pension form, the government department responsible needs to see the certificates to prove that claimants are who they say they are. But, as any old Joe can go online and order any other old Joe’s birth, marriage or death certificate, I’m not quite sure what the certificates do prove. And if you gave them the relevant dates, couldn’t one government department just send them to another government department? Or am I missing the point here? On a more positive note, the new (female) financial adviser is incredibly helpful, as was the (female) customer adviser at the private pension company. Between them they just managed to stop me tearing my hair out. Underlying all this is the fact that, like anyone approaching pension age, I’m having to make major decisions based on an unknown future. No doubt there are some clever statisticians or actuaries out there who could assemble all the relevant factors, run them through a computer and tell me, on the basis of probability, what I might be looking forward to in terms of the next 10, 20 or even 30 years. (You know, will it be life lived to the full or creeping decrepitude?) Instead, like everyone else, I’ll just have to take a wild guess and hope I’ve got it right. I sometimes think I might as well take the money and run, climb into a camper van with the dogs, head off to sunnier climes, and lead a life of reckless abandon - except that I know it’s not really an option. No doubt I will look back at all this later in the year and laugh. But not yet. Having spent many years working in education, I’m always interested to hear what others in the sector do when they retire. Take Marie Stubbs, for example – or Lady Stubbs as we should properly call her. Marie Stubbs, you may recall, is the superhead who came out of retirement to transform the fortunes of St George’s School in north London, which Ofsted had decided was failing – big time. And transform it she did; by 2001, when Lady Stubbs left, St George’s was unrecognisable. Then she wrote Ahead of the Class, an account of her time there. And you may have seen Julie Walters in the role of Marie Stubbs in the TV film of the book. But now, Lady Stubbs has got her sights set on women of my age and, with her personal trainer, Jason Paris, has launched a website: www.female-fiftyplus-get-fit-com. No prizes for guessing what this is about. So, I’m going to take a look at what she and Jason recommend and see if I can come up to scratch. I’ve got the exercise ball, I’ve got the weights and, goodness me, I think I’ve even got the skipping rope somewhere. Granted they might need dusting before I start. Of course, I don’t have the advantages of having my very own Jason on tap – or a conservatory, which is where Lady S trains. But I do have a nice sunny room, which will be perfect, once I’ve cleared out all the stuff which is in a sort of holding pen waiting to go to our local charity shop. Well, you have to hand it to her, how many other 67-year-olds have got a fitness routine, a personal trainer, a fitness website and newsletter, and are about to launch their very own TV series? Yes, Lady Stubbs will be seen on our screens next year in The School Fixer, in which she’ll try to repeat her success at St George’s at four currently failing schools. Phew! And why not? I'm full of admiration for women who carry on making a difference, whatever their age. One thing's for sure, I bet Marie Stubbs doesn't spend her afternoons tucked up on the sofa with a packet of Rich Tea biscuits, watching True Movies or the Hallmark Channel.